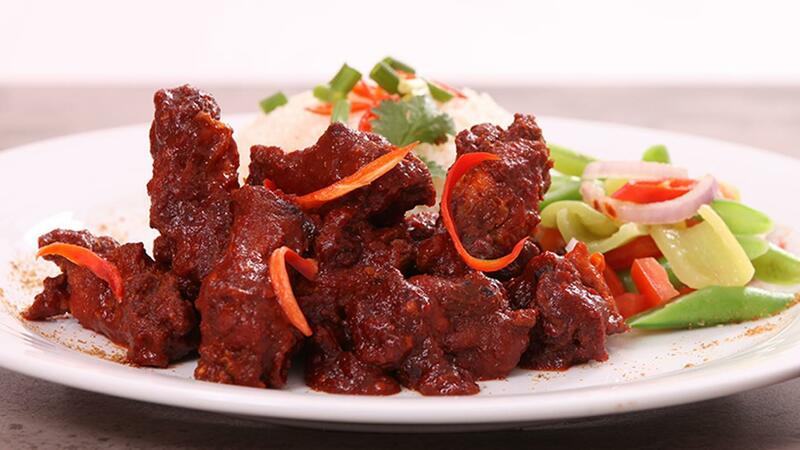 Our take on Tamarind chicken is infused with several herbs and spices. The dry chicken stew enhanced with tamarind pulp will tingle the taste buds of your customers. Try it on your menu today! Season and allow to marinade the chicken for 1 hour in the refrigerator with all the ingredients except onions, vegetable oil and ginger garlic paste. Heat the oil in a pan, add onions and ginger garlic paste, sauté for 2 mints. Then add seasoned chicken, sauté until chicken is done.